Recently, Vancouver, British Columbia marked its 130th anniversary. From its humble beginnings as the settlement known as Gastown, Vancouver was incorporated as a city on 6 March 1886. 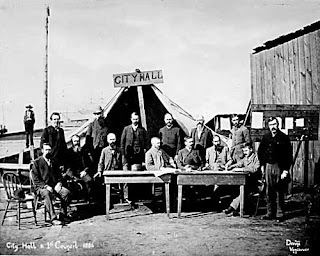 Image credit: “First Vancouver Council Meeting after fire.jpg”, by H.T. Devine, via Wikimedia Commons. 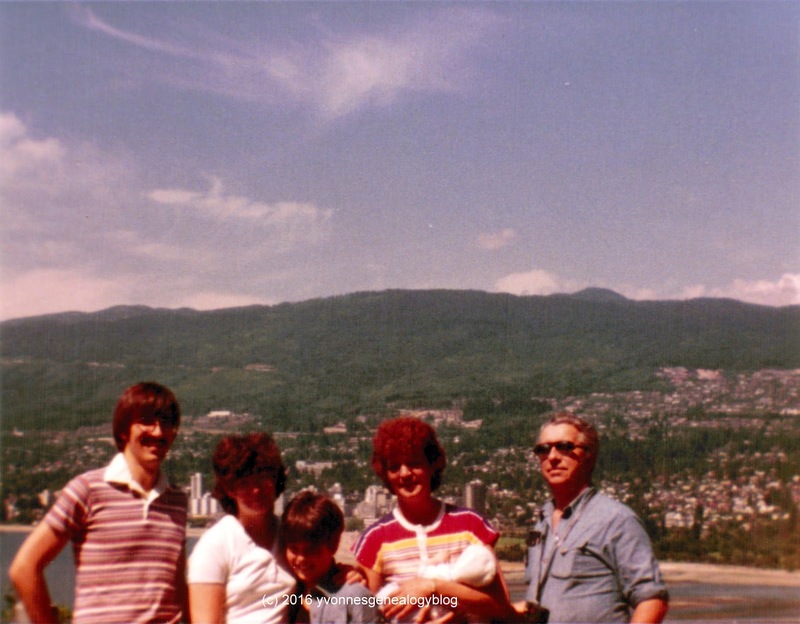 My family and I visited Vancouver for the first time in 1966. 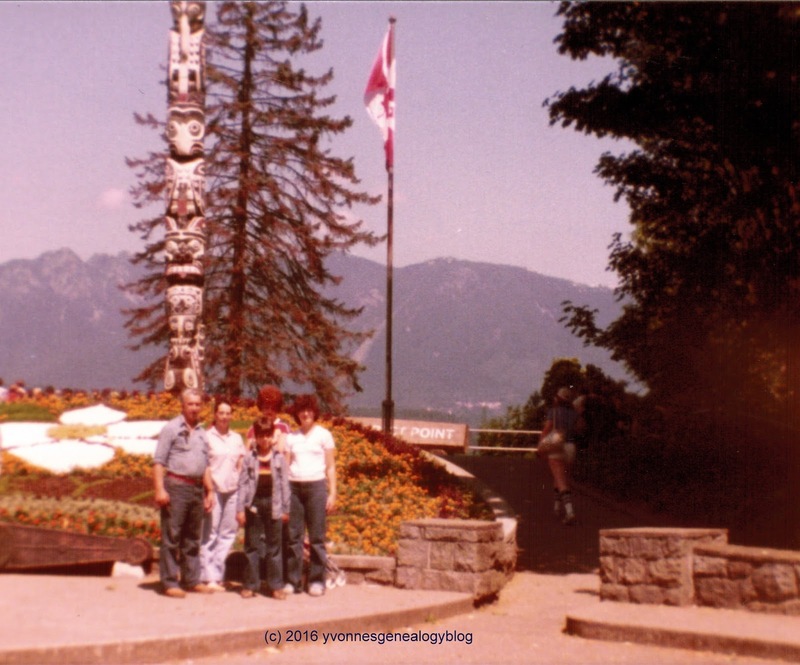 That summer, we made a nearly month-long trip to BC, and although we have lots of photos of our journey, there aren’t any of us visiting the city. 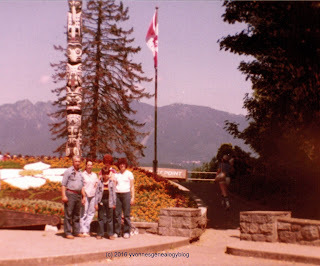 The earliest photos we have of us in Vancouver are of our visit in the summer of 1981, not long after we moved to BC. My sister and her 3-month old son, who were here on vacation, came with us – Mom, Dad, my brother Raymond and my boyfriend (now husband) Michael. 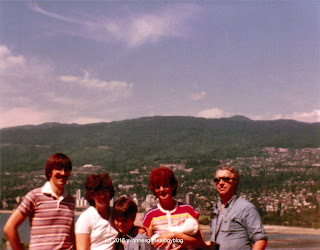 We took a day-trip into the city on 2 August 1981 to celebrate Dad’s 54th birthday. 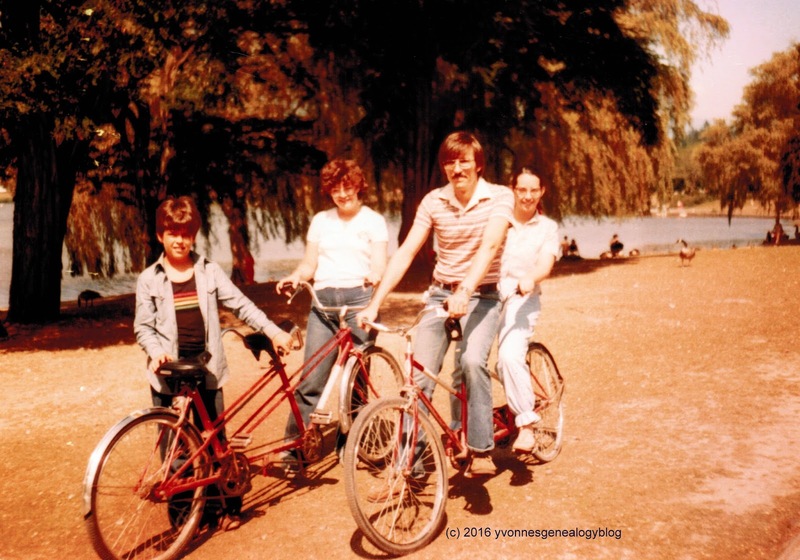 We spent most of our time at Vancouver’s Stanley Park where we toured the Park by car, stopped at interesting viewpoints and landmarks, and rode rented tandem bicycles. Here are some photos of us in Stanley Park that day.